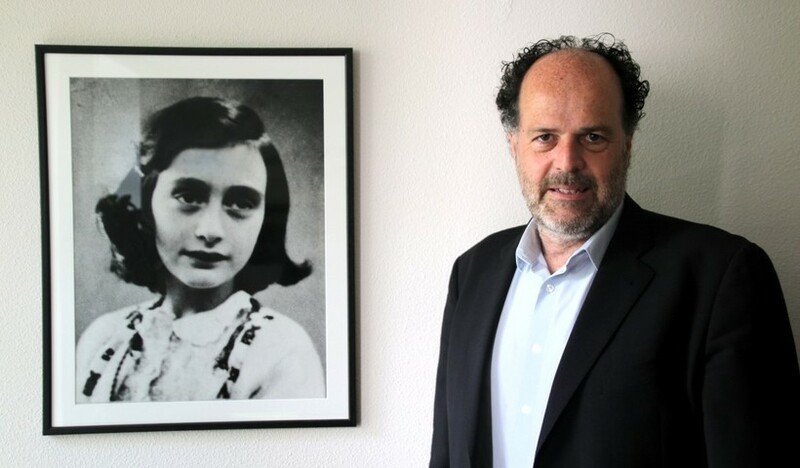 Ronald Leopold, executive director of the Anne Frank House: “Young people across the world, first and foremost, hear their own voices reflected back in Anne’s story”. (Image:© Jassir de Windt). “Will I ever be able to write something great”? By means of these prophetic words, Annelies Marie ‘Anne’ Frank put pen to paper on April 4, 1944, just months before her arrest by the Gestapo. Tragically, this stateless adolescent did not live to see the overpowering results prompted by the essence of the thoughts and emotions she had entrusted to her three diaries over the course of two years. Seventy-five years on, The Diary of a Young Girl has been translated into more than seventy languages and published in over sixty countries. Moreover, the Anne Frank House in Amsterdam – the biographical museum preserving Anne’s hiding place – can rely on 1.3 million visitors per annum. What are the current challenges and breakthroughs faced by one of the most identifiable non-profit organisations in the world? In this interview, the floor is given to Ronald Leopold, the museum’s executive director. HP: In recent years, several international non-governmental organisations, such as Human Rights Watch, have affirmed that anti-Semitism remains a serious topic of concern. What is the position of the Anne Frank House (AFH) with regard to this development? “In the past two decades, our organisation has been working closely with the University of Leiden and, since 2013, the Verwey-Jonker Institute to conduct research with reference to racism, extremism, anti-Semitism and far-right violence in the Netherlands. As such, we can draw three conclusions within Dutch boundaries. First, that the level of anti-Semitism goes back and forth. The latter is also in line with research carried out by, for instance, the Centre of Information and Documentation Israel. At the same time, we detect a considerable increase when it comes to Islamophobia and homophobia. Lastly, we note a growing concern in the Jewish community given the several global anti-Semitism incidents. Having said this, one of AFH’s aims is to raise awareness by means of education. For this reason, we attach great value to our educational group programmes which are particularly aimed at adolescents that attend preparatory vocational schools in the Netherlands. After all, all research figures we possess reveal that this group is more prone to the aforementioned issues. In this light, these youngsters are provided with tools and skills that nurture their sense of moral formation. Central to these programmes is: how to co-exist peacefully with people that are very different than oneself?”. HP: In the coming two years, the AFH will undergo a 10 million euros refurbishment while still remaining open to the public. What will this renovation consist of? “This refurbishment will encompass two objectives while encapsulating the overall goal to prepare the AFH for the future. Firstly, we will expand our premises for them to match our current visitor numbers. During the last renovation in the mid-nineties, the projection was for the museum to harbour ‘merely’ 600.000 visitors per year. In order to somewhat reduce the congestion inside the AFH, we have already put a new policy in place and thereby only visitors with pre-purchased online tickets are able to access the museum in the mornings and early afternoons. In the second place, while youngsters are one of the fundamental target audiences for the AFH, we have observed the meagre knowledge level as to the broader historical context of Anne Frank’s story. Therefore, this element will be stepped up without converting the museum into an expo. After all, the emptiness the AFH emits should serve as a moral looking glass and Anne’s hiding place shall, by all means, remain authentic”. HP: Historians, such as Holocaust scholar Timothy Snyder, have been stressing on the perils of history being downplayed and visual knowledge gaining the upper hand. How does the AFH act upon this tension field, while still remaining inviting to a young audience? “In my capacity, I have visited several museums worldwide and hope to still get to see many others. In this light, I can testify that all museums have a different spirit and that this sense of diversity is just as important. When on these business trips, I often run into exhibitions on Anne Frank that, regardless of not fulfilling the canons we would adhere to in the Netherlands, still give an even larger audience the opportunity to be inspired by Anne’s story. Our renovation process will eventually also include an upgrade of our website’s virtual reality component, as by doing so we will be addressing the needs of our younger target group, while also keeping with contemporary standards. All this will be done within reasonable limits, as we firmly believe that authenticity is always the safest path. Similarly, it’s an overstatement to claim that youngsters are solely reached by means of digital realms. Through our international travelling exhibitions, the opposite is proven. When attending such an exhibition in São Paulo, Brazil, some years back a girl told me: ‘Sir, for being black I experience exclusion on a daily basis, therefore I’m an Anne Frank’… This demonstrates that young people across the world, first and foremost, hear their own voices reflected back in Anne’s narrative, even though their own life stories are quite different”. HP: Earlier this year, it became clear that the Dutch government will allocate 7.9 million euros for the benefit of the establishment of a Dutch National Holocaust Museum and a memorial wall. Is this deemed as a plausible competitor or as a collectivistic win-win by the AFH? “The museological concept of the Dutch National Holocaust Museum is yet to be drawn up, but the AFH does, in any event, not consider this prospective museum as a potential competitor. What’s more, experience shows that memorial walls are of inestimable value, as they provide the bereaved and the descendants of war victims with something tangible. I believe that this upcoming museum will benefit considerably if it adopts its own identity. That is if it could eventually complement the already existing museums in the Netherlands with respect to the persecution of Jews. As indicated by the Dutch Institute for War, Holocaust and Genocide Studies, there are several areas in this field that are still underexposed. Besides this, I’m of the opinion that it can likewise prove positive if this museum is enabled to make a connection with regard to genocide on an intercontinental scale”. The Anne Frank House will undergo a major refurbishment between 2017 and 2019 but will remain open to the public. (Image: © Jassir de Windt). HP: In the light of the current global tensions, would you say that Anne Frank’s legacy is more relevant than ever? “For almost sixty years, the AFH has had a twofold remit. In the first place, we strive to make the narrative behind a hiding place accessible to a wider public. On this basis, we want to evoke consciousness into people, near and far, and encourage them to make an active contribution to the promotion and maintenance of an open, pluralistic and democratic society. At one end of the spectrum there is Anne Frank the icon and at the other end of the scale, there is Anne Frank in the role of victimhood. Our mission, therefore, revolves around finding the equilibrium between these two scopes. Anne Frank’s legacy is thus always relevant, irrespective of the times we live in. On balance, history doesn’t change. What changes are the questions we should be asking ourselves within the context of history”.